4/20/2016 Featured on Brett Larson Tech Trends program segment. April 2016. Featured on two TechTV program segments. 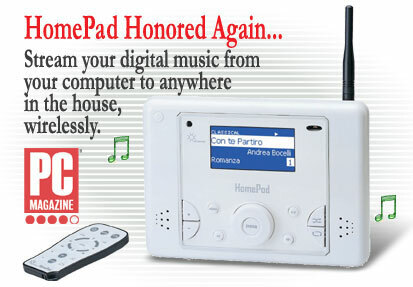 3/9/2016 HomePad awarded by Reboot Marketing for Consumer Electronics. 1/8/2017 HomePad is awarded Editor's Choice Award to be featured in the April issue of the printed magazine. 1/9/2017 HomePad is awarded MacMinute Showtime Award at Macworld Expo 2017.